When are Pokémon Ultra Sun and Ultra Moon coming and how are they played? Nintendo has officially announced the new main series Pokémon games, Pokémon Ultra Sun and Pokémon Ultra Moon with a worldwide release date of November 17, 2017. The games are confirmed for Nintendo’s 3DS systems, but not the Switch, as many had thought due to an error on the Pokémon press site. Many gamers were hoping that the previous info stating a “TBA” release date for the Nintendo Switch pointed to the first main series Pokémon games on the big screen, especially since the Switch is a combination of a traditional and handheld console. Now that the rumors have been denied, it seems highly unlikely considering Game Freak’s trend of developing them solely for handheld systems. Perhaps it could happen in another generation. The new games have a different story than Pokémon Sun and Pokémon Moon before them, probably in a way similar to how Pokémon Black 2 and Pokémon White 2 expanded on the world and story of Pokémon Black and White or the special versions that came before them such as Pokémon Platinum, Emerald, and so on. No doubt, we’ll see at least a few new characters, and new looks for existing Pokémon have been confirmed as well. Despite the new story, the games have the same setting and universe as Sun and Moon. The Official Pokémon YouTube Channel recently uploaded a video showing a teaser of the new games at the end of much (more by comparison) Pokkén Tournament DX footage. 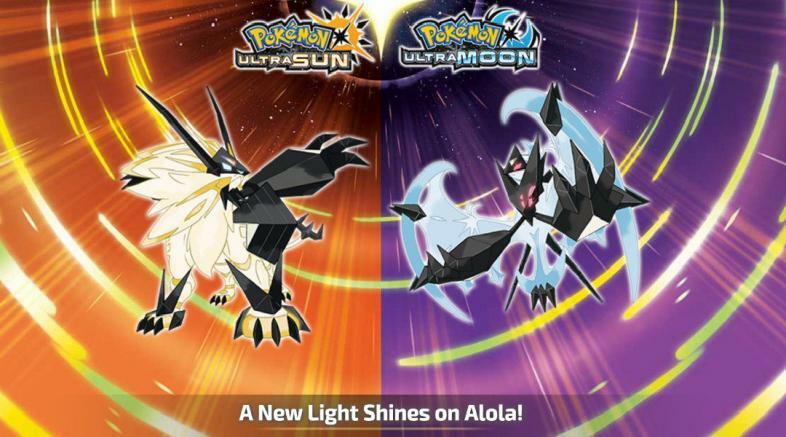 Gamers will see how similar (or identical) the world is to that of Alola in Pokémon Sun and Moon, but also what appear to be the new forms of legendaries Solgaleo and Lunala. We also know that new features are being promised, but what they might be is unrevealed as of yet. What can we expect from the new Pokemon games? We can pretty safely assume that more Pokémon besides Solgaleo and Lunala are getting new forms, and the video looks like it shows a new kind of gadget for Trainers to use during battles. As with other special versions, the protagonists have either changed or gotten costume changes, so that should come as no surprise either. Different post-game environments and challenges can also be reasonably expected if past games are any indication of future titles’ features. Could some minor characters from previous games return? Looker is a perfect example of a recurring character first introduced in Platinum version, the companion game to Pokémon Diamond and Pearl. I know I’d love to see some familiar faces make cameos in unexpected places. The Ultra Sun and Ultra Moon page on the official Pokémon website promises to keep us updated on news, so be sure to check back regularly for info straight from the source. The official Pokémon press site is always a safe bet as well.